Assess your needs – What are your objectives and priorities? Your objectives and priorities will drive all further decisions on budget, style, and appliances/products. This is the most important step to get right since it will effect all future decisions. Have a budget range in mind – How much can you really invest into your new kitchen? How do you plan to pay for it? Make sure you know appliance and product prices, design fees, and always remember that installation costs will assume about 15-20 percent of your total budget. Find the right professional for your project – Make sure the professional you choose is in sync with you and your goals. Make sure they have done a project like yours before. 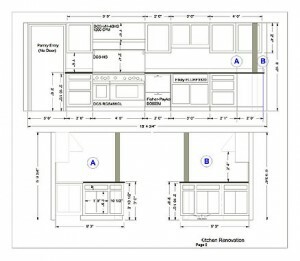 Complete the room layout and design – Your kitchen designer may have several ideas on how best to use your space. These different ideas have implications on your budget so think through them before you accept the final design. Before the design can be completed, your cabinet designer will need to know the measurements and requirements of all the major appliances you are expecting to use in your new kitchen. Decide on a cabinet style – Cut-out images from magazines or collect and share images you found online with your designer. You can also visit your designer’s showroom or attend home shows to select the style of cabinets you like. Make sure to write down what you like about each of your images and share that with your cabinet designer. 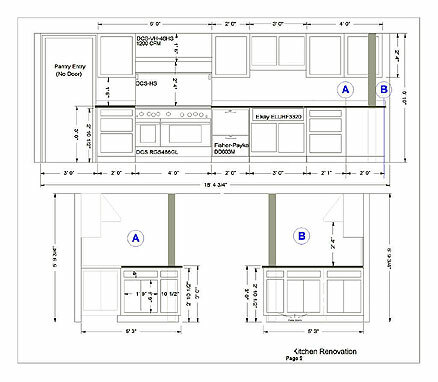 Plan for the installation – Make sure you know who is responsible finding and supervising the electricians, plumbers, tile contractors, carpenters, and cabinet installers involved with your new kitchen. If you don’t already have a subcontractor, your cabinet designer will have a list of great companies to work with on your new kitchen. Also, figure out a way to have a makeshift kitchen work for you as your kitchen is being remodeled. Enjoy your new kitchen and prepare for its future – Make sure everything works correctly before signing off with the subcontractor. Understand the proper care and maintenance your cabinets and all other new products and appliances. Make sure to keep all receipts, contracts, warranties and product information. Contact us (859) 331-8100 to set up an appointment or stop by our showroom.